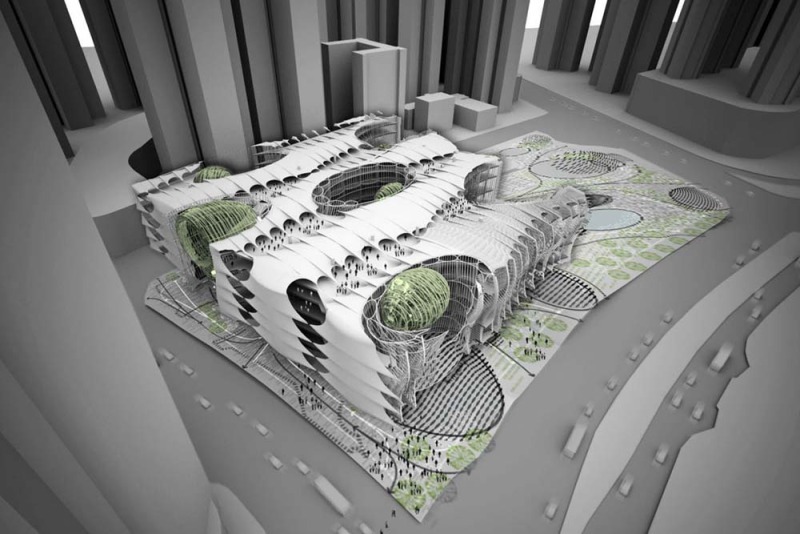 The Urban Archipelago is a massive art + science educational complex sited on landfill in Kowloon, Hong Kong. It sits at the intersection of a staggering ensemble of urban flows. The proposal brakes with the given project brief in many ways: in addition to housing the requisite educational facilities, the project generates a vibrant, dynamic and synergistic urban landscape. Synergy is defined as the interaction of two or more agents or forces whose combined effect is greater than the sum of their individual effects. The proposal attempts to breed and sustain multiple networks of exchange and promote a promiscuous mixing of diverse ecologies (people, matter, data, energy flows, etc).